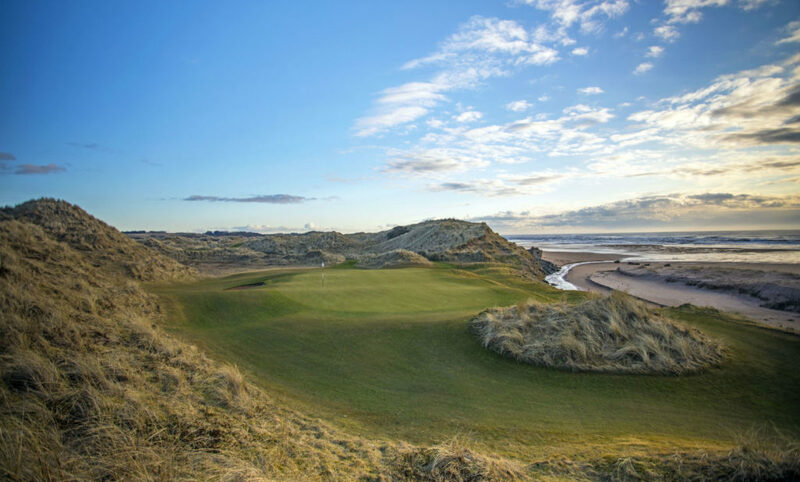 An area renowned for quality links golf courses including Carnoustie and Royal Aberdeen, the 6th oldest golf club in the world, the North East of Scotland offers challenges for all levels of golfers. Below are our top picks for golf in the North East of Scotland. Carnoustie is located approximately 1 hr north of St Andrews and 1 hr south of Aberdeen. Golf has been played over the links dating back to the early 1500’s. It was developed into the links we know today up until the early 1900’s and has hardly changed since. Most noteworthy the club has been the venue to The Open 7 times, most recently in 2018, when won by Italian Francesco Molinari. 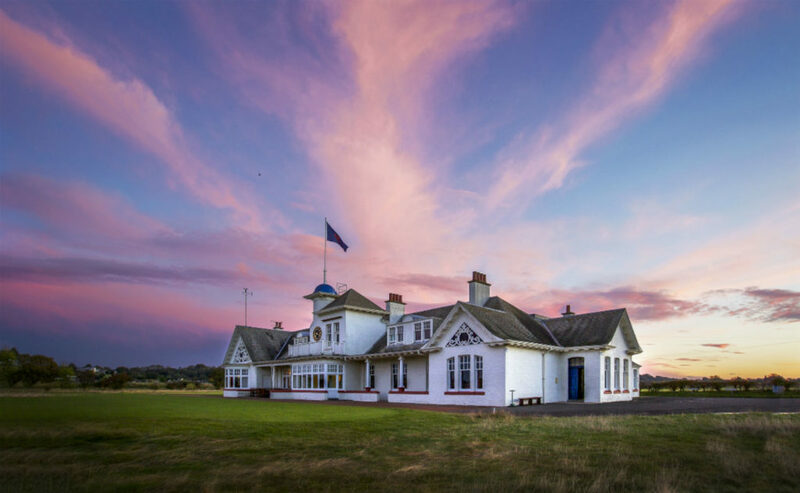 Carnoustie Links is renowned throughout the world as one of the toughest tests of links golf you will ever play, particularly the final 3 holes. This final stretch consists of a long par 3, and 2 tough par 4’s with the ‘Barry Burn’ meandering throughout. Thus, it is enough to bring even the greatest golfer to their knees. One of the most famous holes on the course is the Par 5 6th hole “Hogans Alley’. During the 1953 Open Championship and Ben Hogan’s only visit to the UK, Ben Hogan threaded his tee shot each of the 4 days between a narrow stretch of land between the out of bounds posts and the deep penalising bunkers. Carnoustie has 2 other neighbouring courses, The Burnside and The Buddon. Likewise with the Championship Course, both of these also bring along tremendous tests of golf in their own right. Therefore it is a great location to enjoy a couple of days of quality golf in the North East of Scotland. Cruden Bay is a great old fashioned links course. Consequently golfers are required to use all attributes of their golf game from power to finesse, placement control and imagination. Located in the north east point of Scotland, near Peterhead the course is a little out the way from the other marquee courses in the region. However is most definitely worth a visit to experience the place. The course winds its way through some of the highest sand dunes you’ll ever see. Furthermore the 18 holes takes a figure of eight route around the land the course is set upon. 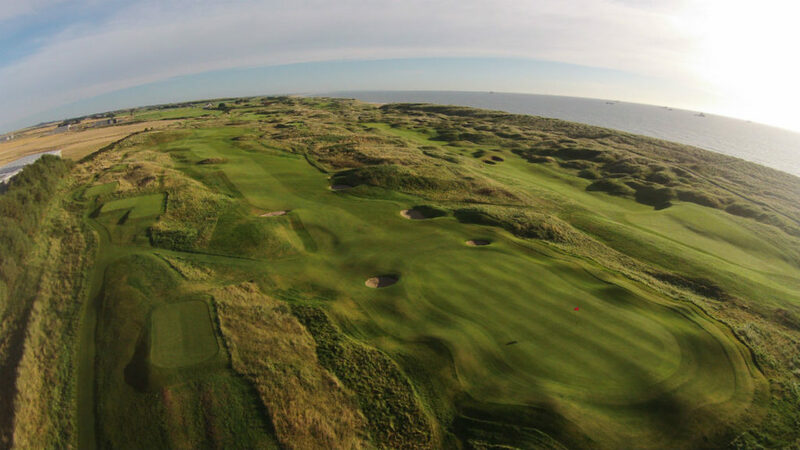 Elevated tees and punch bowl type greens are cut into the sand dunes giving tremendous panoramic views of the sea. In addition, blind tee shots and back to back par 3’s add to its quirkiness. It’s a course you can play over and over again and every-time you will learn something new about it. Certainly an entertaining course! Royal Deeside is set 20 minutes south west of Aberdeen and is nestled on the banks of the River Dee in the stunning Royal Deeside Countryside. 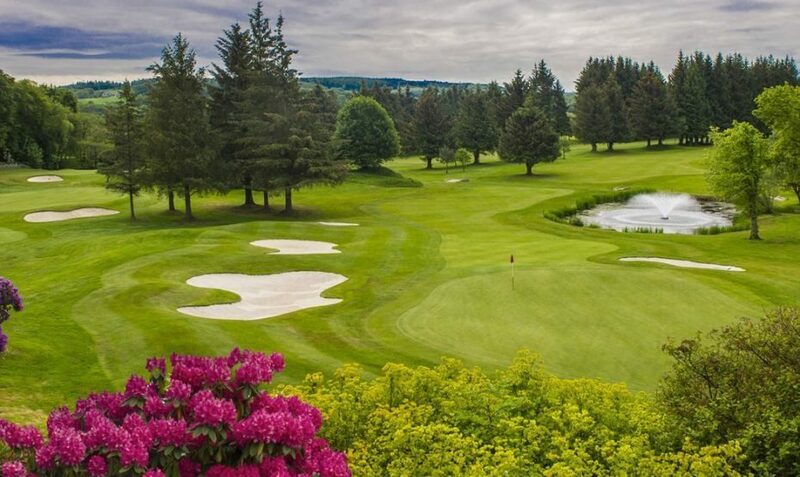 Created in 1903, the Houghton Course is considered to be one of the best inland courses in Scotland. The course measures just over 6’300 yds and is set on beautiful parkland. It meanders its way through huge mature trees and strategically placed bunkers before making it into snooker table like putting surfaces. The course offers some spectacular views across the River Dee and surrounding countryside. Therefore, if you are looking for a day away from the traditional links then Deeside Golf Club is for you. The Medal course at Montrose is incredibly the 6th oldest course in the world. Records show golf being played dating back to 1562 when it was initially laid out as 25 holes. In early 1900’s Old Tom Morris and Willie Park got their hands on the layout. Consequently they helped turn it into the incredible piece of land it is today. Montrose offers an incredible mix of golf holes from blind shots to, narrow driving holes between dunes. You’ll be lucky to find a flat lie as the land is very much the way mother nature created it. Some fairways look like an elephant’s graveyard, the way the fairways roll. Montrose is considered to be in the shadow of the neighbouring famous courses. But is a course that will allow you to enjoy links golf the way it was intended. 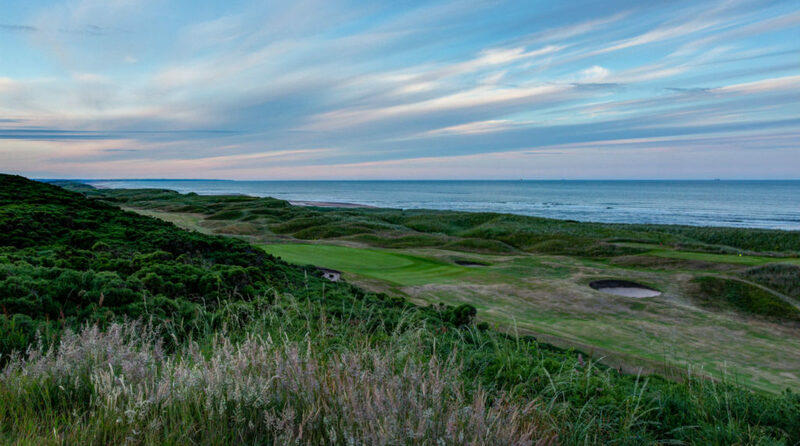 Murcar Golf Links is located just 10 miles north of Aberdeen and stretches along the stunning coastline of the North Sea. The club has held its own prestigious events throughout the years such as The Amateur Championship. The club also held the 2016 European Tour Saltire Energy Paul Lawrie Matchplay Event, which was won by Kiradech Aphibarnrat. Hence, Murcar Links is consistently ranked amongst the top links courses in Scotland year after year. 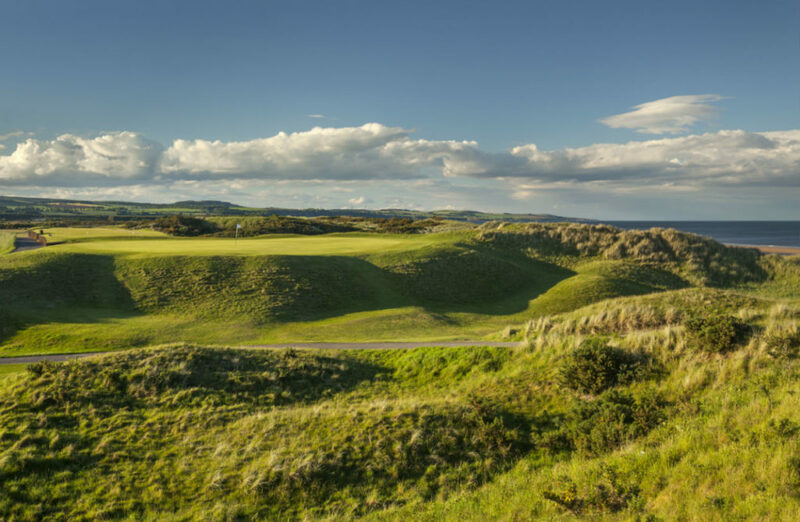 With its towering sand dunes and undulating fairways protected by heather and whins, you can clearly see why. This par 71 measures just over 6’500 yds off the back tees and is both strategically and scenically brilliant. Panmure Golf Club is located a few miles down the road from Carnoustie. As a result the club has been used on a number of occasions for final qualifying, when The Open is held at Carnoustie. Despite having a famous neighbour, Panmure Golf Club is a tremendous golf course in its own right. In 1953 Ben Hogan practiced rigorously in preparation for his only Open appearance at Carnoustie in which he won. Due to this hole 6th is named after the golfing legend as this was his favourite hole at Panmure. 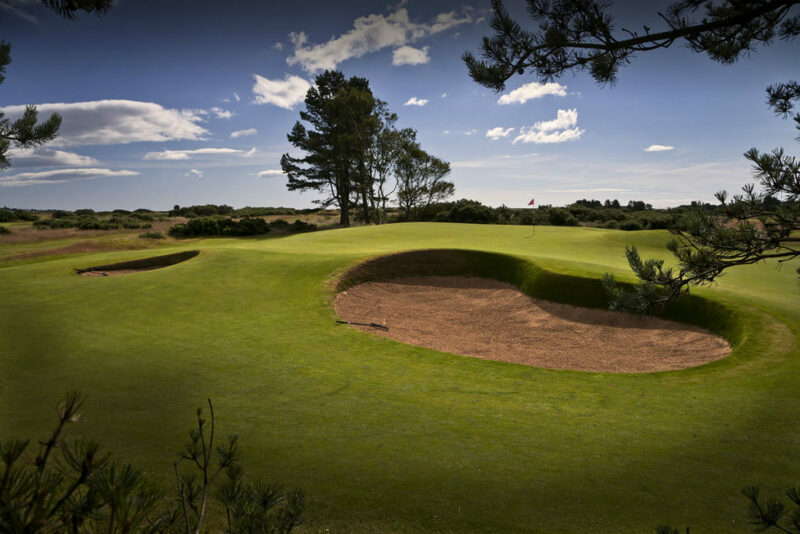 Not your stereotypical links course, Panmure plots its way through pine trees and heather. However your game still has to have the attributes to play the links way with firm tight fairways and deep bunkers to negotiate. For this reason, Panmure is a must play golf course in the north east for any golfer looking to test their game. Royal Aberdeen is your typical traditional links course with 9 holes playing away from the clubhouse and 9 holes return. To begin with, 8 of the first 9 holes are pinned along the shoreline of the North Sea. They twist their way through towering sand dunes and rolling fairways, a truly spectacular sight. The back 9, is a little higher up and provides tremendous views across the course to the North Sea. It often plays the toughest of the two 9’s as it generally plays into the prevailing wind. Royal Aberdeen has hosted the Senior Open Championship won by Tom Watson. Furthermore it was also the 2014 venue for The Aberdeen Asset Management Scottish Open, which was won by Justin Rose. The calibre of player who won those events speaks volumes for quality of golf required to negotiate The Balgownie Links. 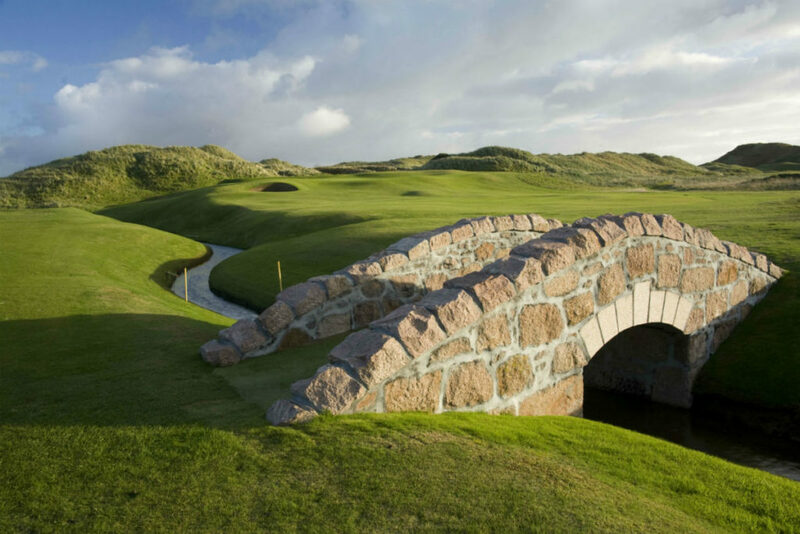 Trump International Links is one of the latest courses to open in Scotland in 2012. Designed by the respected Dr Martin Hawtree, Trump International Links is certainly one of the most visually impressive golf courses. Indeed, standing on every tee you feel like pulling out your camera to take a snap. This Par 72 plays out to almost 7’500 yrds off the championship tees. Each hole takes you through a series of elevations from teeing areas into deep fairways. In addition, many holes are surrounded by the towering sand dunes stretching along the North Sea coastline. Like many of the new courses, there are different tee options to cater for golfers of all ages and abilities. Trump International Links is without a doubt one of the most spectacular courses in Scotland. Therefore it is a must play for anyone golfing in the area. If you like the look of these courses and would like to experience golf in the North East of Scotland we recommend our Hogan’s Swing Tour. Alternatively, please let us know if you wish to play any of the courses above and we will include them within your customised golf tour.